Hair pin lace is an age-old art that creates interesting and intricate fiber patterns on a small, handheld loom. The packaging features photos of ideas and finished items along with detailed, step-by-step instructions. 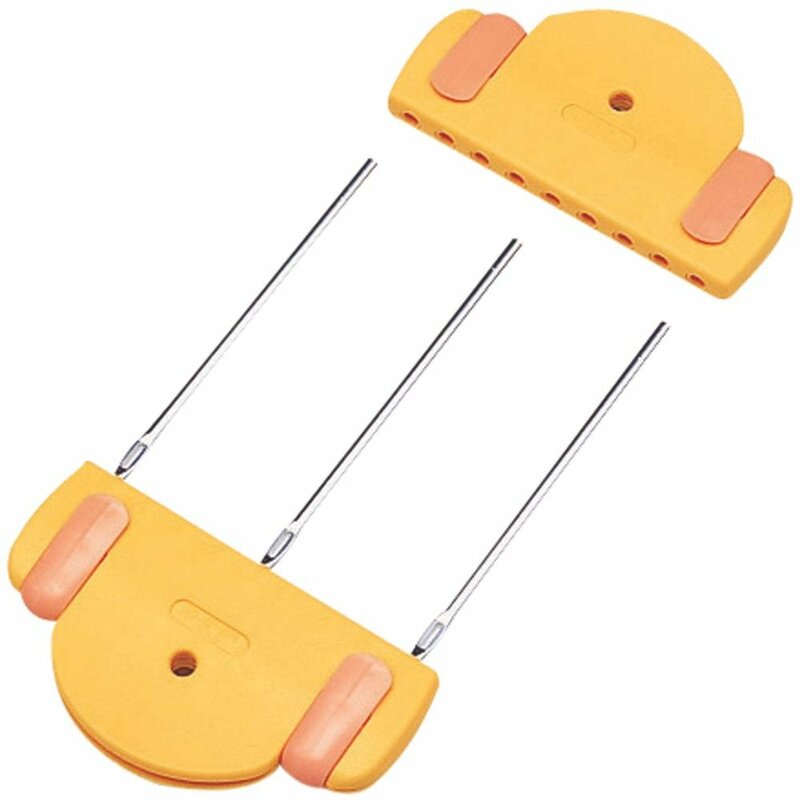 The tool is sturdy and comfortable to hold with bright yellow and orange grips on either end. The pins are adjustable in width from .5" to 3" and the tool features a third pin! Create designs with 2 or more pins! Fabulous for one-of-a-kind trims in exquisite yarns, but also suitable for the girl who has fun with a knitting knobby.